Home / _Movies / Christian-Bale / Christopher-Nolan / News / Terminator / Terminator-Salvation / You'll Never Believe Why Christian Bale Took "Terminator: Salvation"
You'll Never Believe Why Christian Bale Took "Terminator: Salvation"
With the news of the upcoming Terminator reboot, it's easy to forget there was supposed to be another reboot. In 2009 Terminator: Salvation was supposed to lay the groundwork for a new trilogy of films set after the nuclear apocalypse known as "Judgement Day". 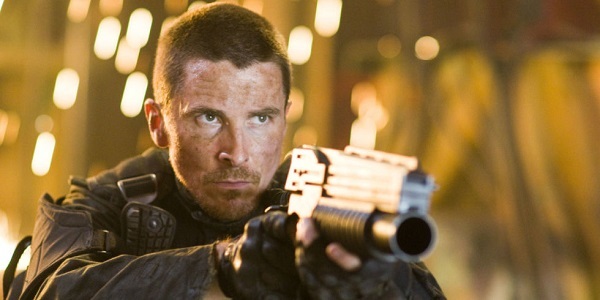 Christian Bale starred as John Connor who becomes the leader of the resistance against the evil machines of SkyNet. It landed in the box office like a hot brick and the sequel plans died. Recently, Bale was on Josh Horowitz's Happy Sad Confused podcast and admitted he actually turned down the role several times. "I said no three times," Bale said. "I thought that the franchise - I went 'Nah, there’s no story there.' I'd seen the first one and enjoyed that, back in England, I'd been to the movies and seen the second one." So, what changed his mind? Turned out it was good-old spite. Christian Bale did sign on especially after reading the "wonderful" script by Jonathan Nolan who's the brother of Batman Begins director Christopher Nolan and co-writer of The Dark Knight and The Dark Knight Returns. After Nolan left the film the movie suffered from script problems and ultimately tanked. Years later he still thinks about it. "It’s a great thorn in my side because I wish we could have reinvigorated [the franchise]," Bale said. "And unfortunately, during production, you could tell that wasn’t happening. It’s a great shame." He also talked about his infamous meltdown over the director of photography Shane Hurlbut walking onto a set during a scene. "That was a very unusual occasion. Great learning lesson for me," Bale said of the incident. "No matter how much you lose yourself in a scene, you do not allow yourself to behave that way. And yeah, of course, I’ve got enormous regrets about it." In the end, Bale is doing just fine and won a Teen Choice Award for his performance in the movie. The second attempt at rebooting the franchise with Terminator: Genesys flopped too. James Cameron and Tim Miller are working hard to reboot the franchise and can hopefully get the series back on track. What do you think of Terminator: Salvation? Do you think he should have passed for the fourth time?